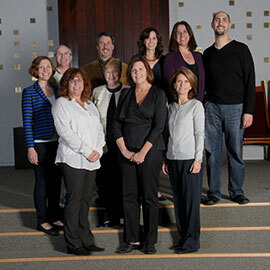 Leo Baeck Temple is governed by a Board of Trustees consisting of 18 Trustees plus an Executive Committee made up of the Officers of the Temple. The Board is responsible for setting policy for the Temple while the Executive Committee, subject to the authority of the entire Board, manages the Temple’s day-to-day affairs. Specific provisions for governance are outlined in the Temple’s Bylaws and Operating Procedures.